In January MoBBallet helped facilitate the second International Association of Blacks in Dance Ballet audition for women of color. It was a wonderful gathering of Artistic heads and of dancers as well. In the moment it felt like progress, but it always does in the moment. What happened once all of that energy dissipates is the true measure of efficacy. I am happy to share one Artistic Director’s experience as empirical evidence that the work is paying off. Emily Harkta is the co-director of the Charlottesville Ballet and a former student of mine. I have known her since she was a pre-teen so this is extra rewarding for me professionally and personally. Ms. Harkta was one of the 15 directors to attend the IABD Ballet audition and MoBBallet took a moment to follow up the results of her participation. Ms.Hartka grew up in Roanoke, VA and trained at the Virginia School of the Arts. She spent summers at ABT, Dance Theatre of Harlem, and the Richmond Ballet, where she later danced in their trainee program. 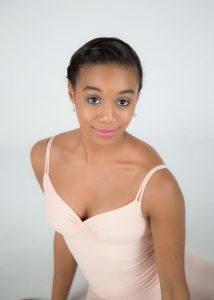 After years of eating disorders and injuries, she quit dance to attend the University of Virginia in Charlottesville, VA. 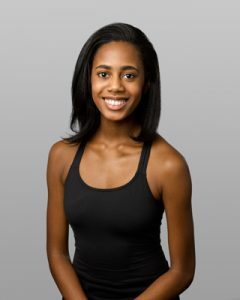 In 2007, Emily and her business partner Sara Jansen Clayborne (along with their friend Ariadne Conner) launched a summer pick-up company with a new idea: to prioritize the physical and mental health/wellness of the dancers. How did you learn about the IABD Audition and why did you come? 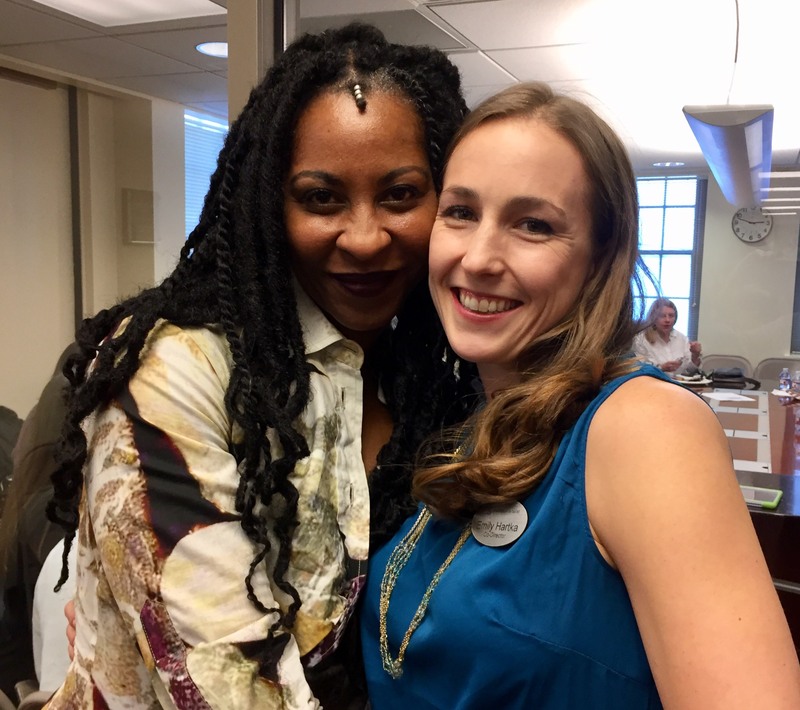 From my dear friend Theresa Ruth Howard – she was my teacher many years ago and a mentor to me; I have followed her My Body My Image blog and now the MOBB work that she’s doing. Charlottesville Ballet strives to create a diverse company and does not have any rigid aesthetic standard — size, color, shape — and when I saw her Facebook post about the IABD audition, I thought it would be a wonderful opportunity to cast a wider net and have a more diverse group of dancers in our audition pool. You encouraged some of your dancers to participate in the audition why? We encourage all of our dancers to audition each season – even if they have no intention of leaving and have a signed contract! Auditions are a good barometer for dancers to gauge where they are in the field and keep their mental game strong. We wanted to encourage our current dancers to attend IABD because we knew it would be excellent exposure for them and our organization, and because we believe it is a culture of community and connectivity and the pursuit of a more diverse art form. What was your experience at the Artistic Directors convening prior to the Audition? Were there any take-aways? It was lovely to meet the fellow Artistic Directors and Outreach Directors in Dallas. First, I was glad that there was dedicated time for a dialogue about making dance a more inclusive art form. It was an honor to sit in the room with some of my childhood idols (Virginia Johnson, Joan Myers Brown) and have candid conversations about the realities of class, race, and equality issues in ballet. As leaders of dance organizations, we are the ones sitting “behind the table” at the front of the audition and/or “at the table” in the board room. Being a decision-maker carries great power; the people in these positions are the ones who have the power to be the change agents that we need in our field. We can talk about diversity and inclusion all day long, but unless the people in power are ready to have these conversations, we won’t see the aesthetic of ballet change. Another take-away was the fact that even large institutions (top 10 companies in the US) have trouble recruiting and retaining dancers of color from their outreach programs. From small emerging organizations like the Charlottesville Ballet to organizations with multi-million dollar budgets and 30-year timelines, we all find it challenging to take a child from an outreach program and keep him/her engaged and supported to the professional level. There are so many logistical details (transportation, family support, etc.) that preclude students from pursuing this art form in the long term. In the short term, many of the organizations also expressed challenges in supporting dancers who’ve made it to the pre-professional level. Many of the dancers who are auditioning for entry-level positions may decline contract offers because of financial issues – trainee positions (even on full scholarship) or apprentice positions are not financially stable for dancers without familial support. Did you make any offers? Tell me about the dancers you chose and what lies ahead for them? From the audition, we were pleased to offer 8 dancer contracts (1 trainee, 5 apprentice and 2 company). Of those 8 dancers, we have 3 that have accepted and will be performing with us in our 2017-18 season (2 apprentice and 1 company). We chose dancers that showed great work ethic, positive attitude, and a ability to perform at a high level in both classical and contemporary works. They have a very exciting year ahead, as Charlottesville Ballet is celebrating our 10th anniversary season! Do you have plans to return to the IABD conference and Audition? Yes, definitely! We are so thankful to the IABD for helping to make it easier for us to recruit a more diverse pool of dancers. IABD will make a positive impact on our company and the community we serve for years to come.